The annual society sale was held at United Auctions mart in Stirling. 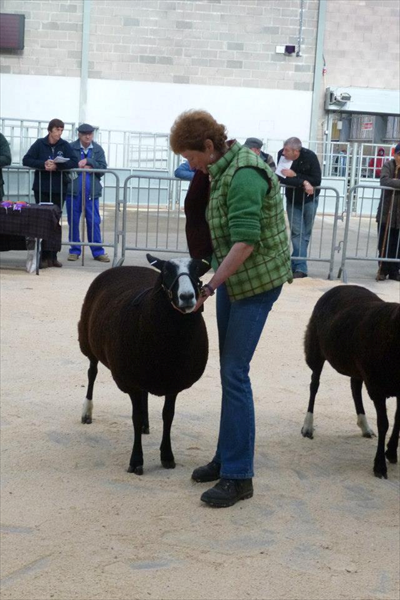 The sale included the dispersal of Molly Campbell’s Blacklee flock and topping the sale on the day was one of her ewes at £1500 selling to KW Hourston Orkney. Shearling gimmers were topped at £1200 for the supreme champion Blacklee Tannamara and sold to the judge V Davies Rugby. Other leading gimmer prices were £650 for Wallacetown Tara from C and S Rae selling to T and G Blamire Thursby and £360 for CKM Stewarts selling to Thistledome Ptns Glasgow. Ewe Lambs were again topped by M Campbell’s sheep at £1400 for Blacklee Wanda selling to C Scott bought the next at £780 this time from B Scott Ballindallock Speyside Winona. Ram Lambs sold to a top of £400 again from C Duffy’s Smiddy Hill flock this time for Warrior who sold to R&K Williams Turiff and £220 for C Anderson’s Wallridge Moor Wrangler selling to J McClung Lasswade and £210 for C Scott’s East Middle Wee Tam selling to A Houseman Knaresborough.